Fancy a bit of retail therapy? No problem! 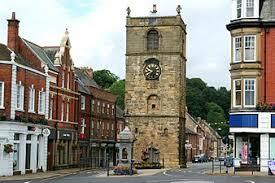 Morpeth has stylish shopping and a rich history. With a unique combination of history, heritage and beauty, this bustling market town is the ideal place to explore what Northumberland has to offer. Combine the old with the new with a walk through Sanderson arcade shopping centre which is just a stone’s throw from the 13th century Chantry that houses the towns bagpipe museum and Northumbrian arts and crafts Gallery.